A ‘retable’ by definition is a piece of tin that has been painted upon. 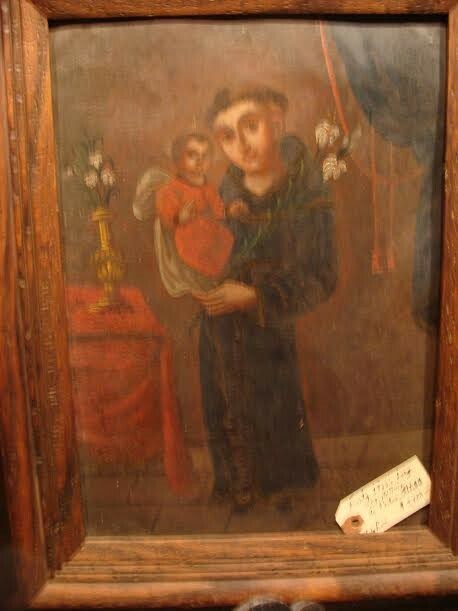 Here is a Retable of St. Antonio de Padua. It is extremely rare. A ‘retable’ by definition is a piece of tin that has been painted upon. Here is a Retable of St. Antonio de Padua. It is extremely rare. Please email cowboycabin@centurytel.net with questions or call 406 270-2842.